In what may be the best product tie-in since the Wonka Bar and Charlie and The Chocolate Factory, Tequila Avion has transcended beyond product placement into a major plot line in the Seventh Season of HBO’s Entourage. The show’s back story for Tequila Avion is fiction (Turtle isn’t their brand rep and Marc Cuban isn’t on the hunt to buy the company) but the tequila is very real. In the real world, Tequila Avion is based in New York City and run by Ken Austin a former Senior Vice President of Seagram’s and CMO of Marquis Jet. The tequila made its way on to Entourage because Marquis Jet CEO Kenny Dichter and Tequila Avion partner, grew up with Doug Ellin, the creator of the HBO series. Ellin reportedly didn’t charge childhood friend Dichter for using the product. Guess he was part of his childhood Entourage! 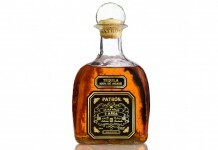 The tequila pays homage to the partner’s aviation roots (aside from it being called Avion), the bottle has “Llegada” and “Salida” stamped onto the sides and an agave heart with wings on the back. We were excited when we found out that Tequila Avion was a real product and were eager to check it out. We wondered if we’d be as crazy about the tequila as the characters on Entourage. 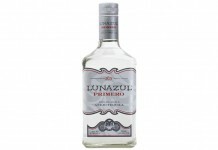 Tequila Avion Silver (80 proof – $40 per 750ml) – The nose of Tequila Avion is pretty sweet with notes of ripe banana and pineapple with very subtle floral, vegetal and funky undertone that does not prepare you for the pepper blast that awaits. The entry is pure ground black pepper that explodes on the palate from the first sip. 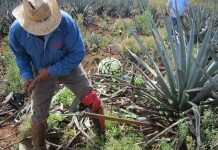 It’s one of the strongest pepper hits we’ve seen in a blanco tequila (it’s even spicier than the peppery Tequila Ocho). If the black pepper isn’t enough, there’s an undertone of hot sauce which kicks the heat up several notches. The finish is pretty long and the peppery spice stays in the mouth for a very long time. One of the things we really like about Tequila Avion is that it delivers its spice without the vapory burn that a tequila like Patron has; Avion’s spicy flavor is all flavor, not poor distilling. That said, this tequila may not be for everyone, but if you like spicy food and drink Tequila Avion is definitely something to seek out. We can’t think of a better tequila to use for a nice bold tequila bloody mary or the base tequila for Eric Atkin’s spicy drink Carter Beats The Devil. Tequila Avion Silver – is a wonderfully spicy and peppery tequila experience that’s an excellent addition to the premium tequila space. We’re happy that this wonderful spirit IS real and we can see why Doug Ellin put it front and center in Entourage.